Take a tour with DSBDA! Our highly experienced tour guides will bring you new insight into the history of this community and its many landmarks. Our guides know the neighborhood inside out, and can explain the customs, the artwork, and the history of the community in a manner suited for any age group. The suggested donation for group tours is below. The tour can be tailored to the particular interests of your group. Schedule your group tour by filling out the form. Paseo Boricua (loosely translated as "Boricua (Puerto Rican) Promenade" is a six block section of Division Street in the Humboldt Park community in Chicago. 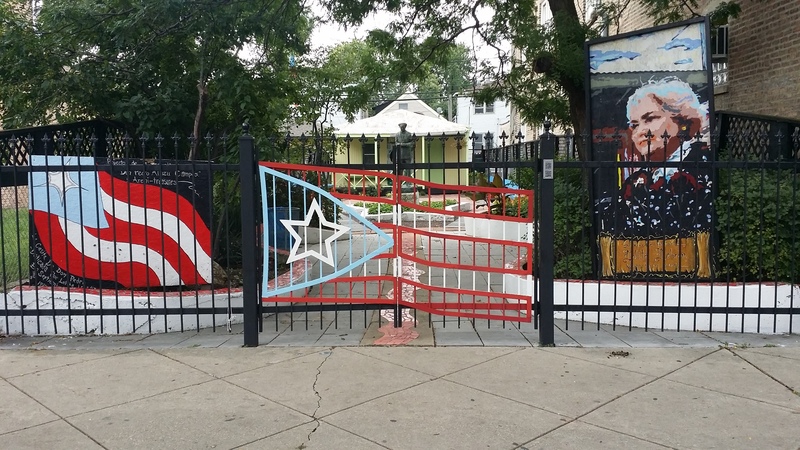 This six-block portion of Division Street between two large steel sculpture-reproductions of the Puerto Rican flag is the only recognized Puerto Rican Neighborhood in the United States. Since 1995 it has become a leading center for Puerto Rican culture, food, business and politics in the United States. There are 17 murals that date back from 1980 to 2017 and a walk of fame with 15 bronze medallions, dedicated to outstanding Puerto Ricans. Paseo Boricua also boasts the largest concentration of Puerto Rican restaurants in the United States. There are 8 puerto Rican Restaurants on Paseo Boricua, 10 foodtrucks in Humboldt Park and 5 additional restaurants surrounding the park. Gateways to the emerging Puerto Rican cultural and restaurant district. 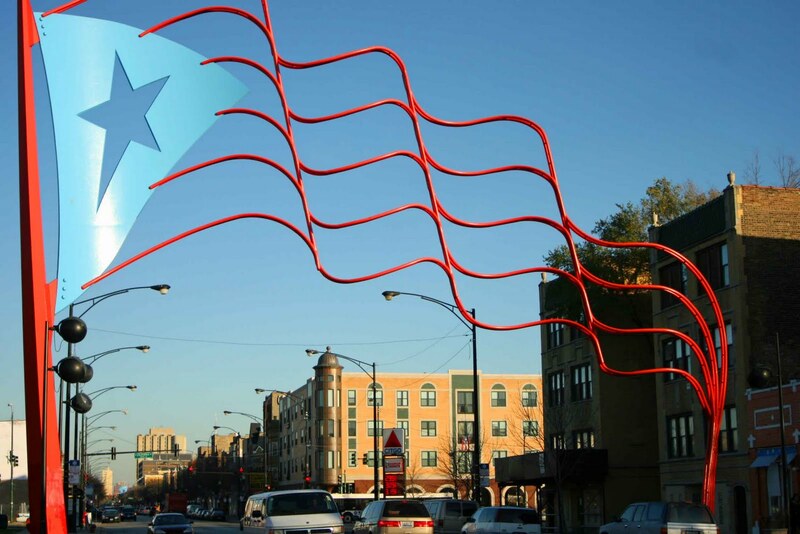 The Puerto Rican community has been present in the Chicago area for over 5 decades. The flags were created to recognize the hard work generations of Puerto Ricans did in the steel mills. To honor this legacy Alderman Billy Ocasio, Congressman Luis Gutierrez and Mayor Richard M. Daley had two 59-foot Puerto Rican flags constructed. The flags were dedicated to the community on January 6, 1995 which is also Three Kings Day (Day of the Epiphany). Since its dedication in 1995, the flags have won seven architectural awards including the prestigious “Building of the Year Award” by the American Institute of Architecture. Each flag currently represents the largest monument to a flag in the world and the largest flag not made of cloth. La Casita de Don Pedro. The Casita de Don Pedro (Little House) was built in 1997 by the Dr. Pedro Albizu Campos Alternative H.S. and Architreasures. The park was designed to resemble the Puerto Rican flag when viewed from above. The park includes a replica of a circa 1940s typical rural house with a zinc roof and a porch featuring a statue of Don Pedro Albizu Campos. The Statue was initially intended to be placed in Humboldt Park but the Park District revoked the permit because they believe that Pedro Albizu Campos is a controversial figure. The Casita has artisan photos and is used as a Classroom for Bomba dance and drumming workshops. The Casita is also the historic welcoming center for three generations of Puerto Rican Political Prisoners who have had their sentences commuted by Presidents Bill Clinton and Barack Obama. The National Museum of Puerto Rican Arts and Culture. 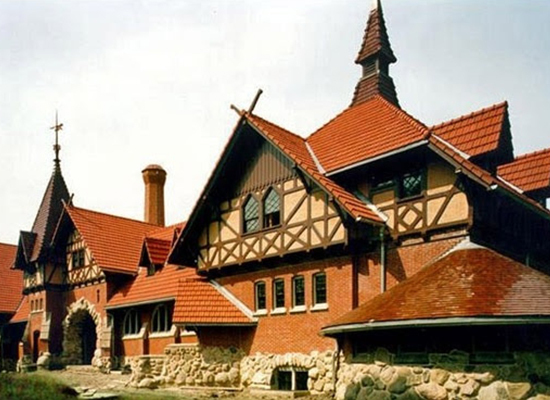 The National Museum of Puerto Rican Arts and Culture (NMPRAC) is the only Puerto Rican Museum in the United States that features art and historic exhibits year-round. Located in the heart of Humboldt Park, NMPRAC has been providing quality community arts and culture programs since 2000. NMPRAC’s model is “Where Preservation Meets Inspiration”. NMPRAC’s building, which originally served as the Humboldt Park Stables and Receptory, is a historically and architecturally significant landmark. This architectural gem of the Chicago Park District, which sat idle for decades, has undergone a complete interior renovation to transform it into a first-class cultural institution providing year-round exhibitions, performances and arts education workshops as well as housing a permanent exhibit of famed landscape architect Jens Jensen. 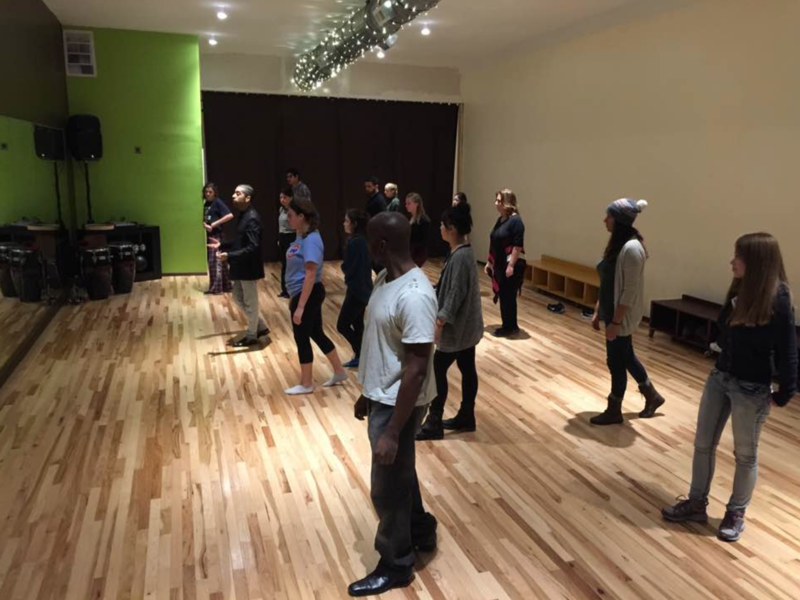 Compliment your tour with a Salsa Dance Workshop with world renowned dance instructor, Miguel Mendez of the Dance Academy of Salsa. This workshop is great before or after your tour. It includes an hour of instruction. Great for all ages. Special price of $10 per person.